I couldn’t believe what I was reading with my own eyes. There I was sitting at my computer reading a message addressed to me on Ancestry.com from a man with the same first name as my Dad’s, saying we were a 1st or 2nd generation match through our DNA. What?! Although I was shocked, it wasn’t a complete surprise to me. My Mom had told us just weeks before she died in 2012 that my brother, sister and I had a half-brother somewhere out there. News which at the time I didn’t understand or appreciate, but now I’m grateful to God that she didn’t let this secret die with her. She said all she knew was he was a boy and he was named after my Dad. Mom had purchased a DNA test kit through Ancestry.com to have a documented sample of our family’s DNA on the site where she had invested so much time recording our genealogy through the years. Unfortunately, due to her advanced illness, she was unable to do the test. I told her before she died that I would do the test and send it in so her investment didn’t go to waste. Low and behold, it was my DNA that matched this man’s DNA who was contacting me cautiously through the Ancestry website. My first reaction was uncontrollable tears. Then I called my brother and sister to see what they wanted me to do with this information. We all agreed to contact him and see where it would take us. I discovered the man contacting us wasn’t our brother, but his son. Of course, I wanted to be sure his dad knew he had contacted us and that he wanted to meet. After double-checking we were happy to hear he was as excited to meet us as we were to meet him. We connected on Facebook–an amazing tool God used in such a marvelous way. We shared stories, photos and joy–much joy. Finally, this past Saturday night we planned for us all to meet for dinner. The anticipation was palpable on both sides. Thanks to social media I have this photo of my newly discovered brother waiting for us to arrive at the restaurant. The first hug was surreal since Stan looks so much like my Dad. The conversation was non-stop as we told our stories of how we had come to this place at this moment in time. We all had an overwhelming sense of God’s kindness to bring us together. The server at the restaurant did a great job keeping the food and drinks coming, and when we told her our amazing story, she joined in our joy. My Mom always said, and I’ve quoted this in my book, “When someone dies a library of information dies with them, unless someone takes the time to write it down.” How grateful I am that Mom didn’t let this secret die with her. Although it wasn’t understood at the time she told us, she was caring for us by letting us know that she knew of my Dad’s past and was okay with it. This allowed us to fully embrace our brother with gratitude as a gift from God. 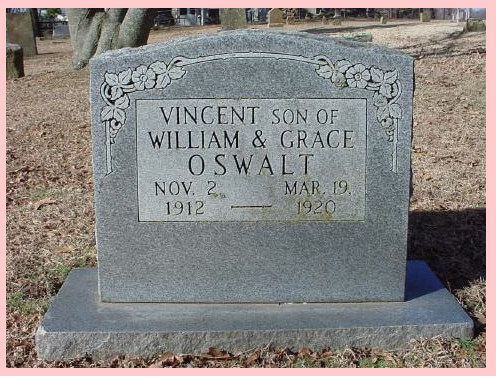 Yesterday would have been my grandmother’s 127th birthday. She was born in 1889, and my how the world has changed from that time until now. 127 years seems like a long time, but on the timeline of history it is a mere inch. It can seem insignificant when you compare this span of time with all of time, but it isn’t. Every minute of every day we’ve been given is a gift from God. How we spend those minutes matters more than we know. Yes, I want to “pass that line well”! How about you? I know when I was working on Through The Eyes Of Grace, the research was my favorite part. 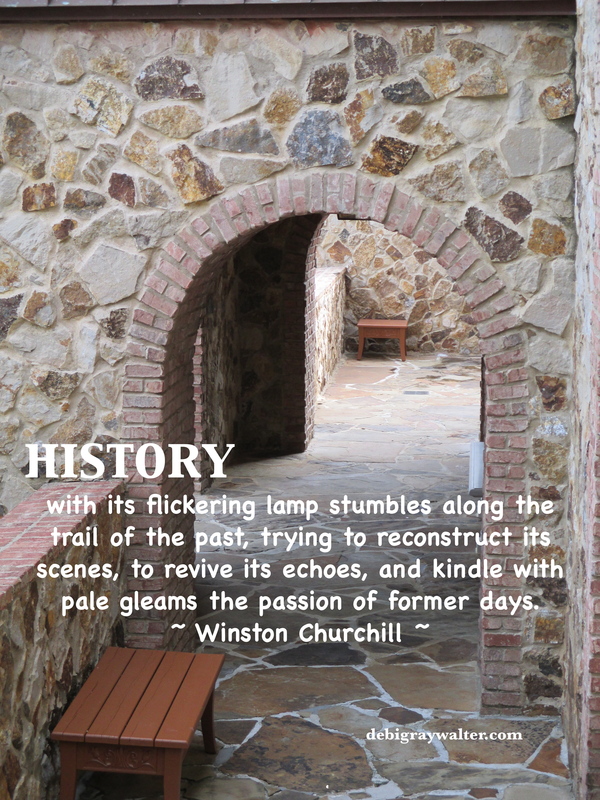 Uncovering events in history that Grace lived through helped me bring her story to life. I may not have handwritten journals from Grace, but I have news events and the recorded histories of other’s lives that are sure to have impacted her story, and for this I’m grateful. Writing historical fiction is a lot like working a jigsaw puzzle. I’ve started with the framework, and the research provides the missing pieces. The Christmas Truce is one such piece for which I’m grateful. Most of you have probably heard about the Christmas Truce of 1914 (if you haven’t take a moment and read about it), which is believed to have occurred over miles of the western front during World War I. What you may not realize is that this amazing event, which happened 100 years ago this Christmas Eve, took place during the time setting of my next book based on the life of my grandmother–Grace Stella Kirwin. One can only imagine what happened in the hearts of the soldiers as they ascended from their trenches to embrace soldiers from the enemy line with wishes of good will. What a Christmas memory each of those men carried in their hearts for the rest of their lives. Following is a video about the Christmas Truce. I pray it will stir your heart to pursue peace with your own enemies, and may it be a peace that will last–not just for 48 hours. Merry Christmas from our home to yours, and may the peace of God bless you richly! I’ve started to do research again for my second book. It happened yesterday when I really didn’t have the time to do it, but I just did. Sometimes that is when I get the most work done, when it’s spontaneous and not planned. I’m setting up a timeline of events beginning in 1907. There are many moments I am very familiar with, but I know that when I start to write her story I will relive much of the emotions Grace must have walked through. It is a privilege to document her life, her struggles and her faith in God. I am part of the story–her legacy, but I must admit that there are events she walked through that I pray I never experience. 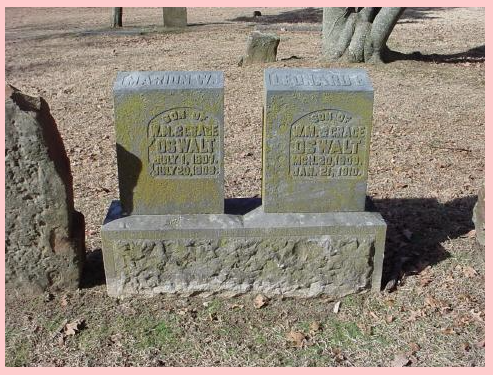 These are the grave markers of three of Grace’s children, my Mom’s brothers. I know I’m giving away part of the story by writing this post, but as Halloween is tomorrow, I wanted to make a statement that death isn’t something to trivialize. In our writer’s group this week, one member shared how he has been affected recently of the reality that we will all die soon. Most of us are in the second half of our lives–our children are grown, our time is more available to do the things for which we’ve dreamed, and realizing the brevity of life will help us push past the excuses of why we haven’t completed the writings God has laid on our hearts to write. We were sobered and convicted to make sure we do those things that are of most importance to us. It took me 12 years to write Through The Eyes Of Grace. In 12 years I’ll be 67, if the Lord doesn’t take me home. I have no guarantees. I must DO, not talk about doing. I must write, not think about writing. It is what God has called me, as a writer, to do, so I’m starting with this post. I hope I haven’t rambled too much, but sometimes getting a rusty engine going again takes lots of puffs and sputterings. Soon my computer keyboard will run full speed into writing the rest of Grace’s story. Won’t you pray for me? Prayer is the fuel I need to keep pushing through until I discover what it is God wants me to know and the story that is of most importance for others to read. Our stories matter because they are his story–our history. Once again I was rummaging through some of my Mom’s papers and came upon a real treasure. I want to share it with you in an effort to inspire you to dig for your own undiscovered stories, as well as to encourage you to continue writing hand-written letters to your extended family. It is an art I’m afraid we’re losing. It all began when I found a letter to my Mom and Dad from his cousin. It’s dated December 13, 1987. She was talking about an enclosed picture of her mom and my dad’s parents. I have always felt “guilty” about grabbing that picture of Aunt Amy and my mother that day Jewett offered it to us when he was visiting several years ago, so now I’m trying to “make-up” for it!! This is not a copy of that picture, which wasn’t in very good condition anyway, but is one of a picture I thought you’d rather have since it shows both your mother and father. My mother is in it too. As young people in their early 20’s – they used to help entertain at the hospital since they were all pretty talented. 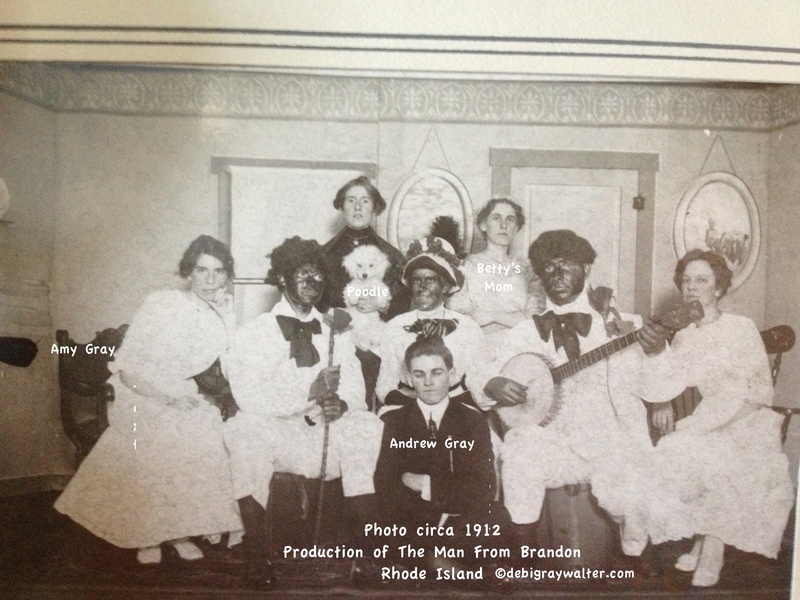 Aunt Amy (my Dad’s mom) always played the piano, Uncle Andy (my Dad’s dad) and my mother sang…Anyway, this is a copy of a group which put on “The Man From Brandon,” on December 7, 1912 – 75 years ago. Uncle Andy, as you can see, is in the front row. You’ll notice everyone is so serious–a characteristic when pictures were taken back in those days, for picture taking was serious business!! Aunt Amy is to the left in the second row, and my mother is to the right in the top row. It would be interesting to know what the play was about since it appears to include a poodle, but I haven’t been able to locate it! We know you’ll have a happy, busy Christmas, and we hope 1988 will be a healthy and prosperous one for you both and all your family. In 1987 the internet wasn’t around, so it was impossible to locate the play mentioned. But imagine my delight when I did a quick Google search and found it! I downloaded a PDF of it and can’t wait to read it. And yes, it does include a poodle! (Click on the picture below to access the script). Over a hundred years ago, and I’m uncovering a snippet of my paternal grandparents’ lives about which I knew nothing. It is priceless! And I’ve discovered one reason why I love plays and musicals; It’s in my genes! What’s even more amazing is that I only met my paternal grandparents twice before they died because we lived in Florida, and they lived in Rhode Island. I’ve always regretted missing this part of my family’s story, but this letter is proof that there is much more to be discovered. You never know where or when another story will surface. But you might miss it if you’re not looking. I’m so glad I didn’t throw this old letter away thinking it was meaningless. I plan to treasure it forever! What interesting facts have you discovered lately about your family? I’d love to hear!